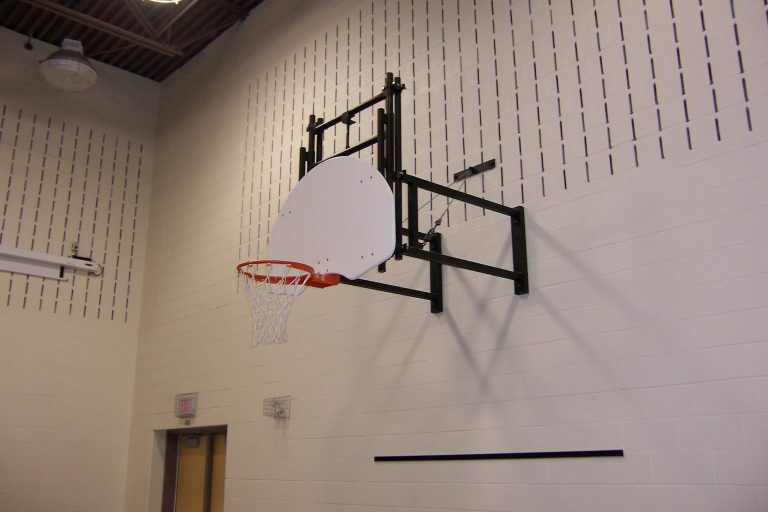 The S332 comes complete with Regulation Backboard, Goal, and No-tie Net. Available from 3’0″ (914mm) to 8’0″ (2438mm) extension. Model S332 consists of four 2″ (50mm) Square extension tubes supported by two 1/4″ (6mm) guide wires. Wall bolt anchors shall be installed by General Contractor. 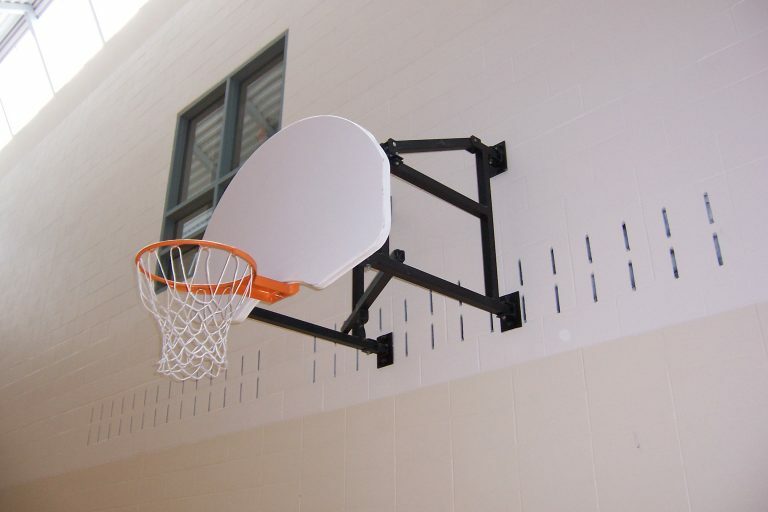 The Model WS340C height adjustable frame can be fitted as an added feature to all basketball units. With the turn of the winch handle the hoop can be lowered or raised from 8’0″ to 10’0”.